With real teachers in live classes! Group classes are held in easy-to-use virtual classrooms, enabling teacher and students to interact in real-time. By chatting, seeing, hearing, and talking to each other, as well as sharing Lingoda’s learning materials, all participants will enjoy an interactive and personalized learning experience. 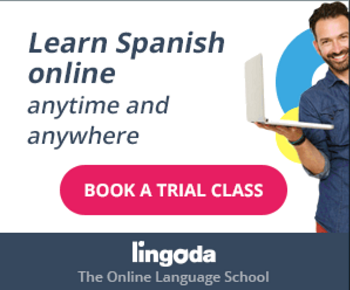 Whether for students just beginning their language studies, or for more advanced students, there are classes to suit everyone at Lingoda. Classes are offered across the areas of grammar, speaking and writing, with a broad range of topics (sports, politics, literature, etc.) and at all learning levels, from A1 to C2. In our 60-minute private classes students are able to learn intensively with a private teacher via Skype™. Focusing on each student’s individual level, interests, and goals, private classes are the most effective way to achieve impressive learning results in a shorter period of time. Your teacher will prepare a class based on your personal needs and during the class you will receive direct explanations, correction and feedback in order to instantly improve your language skills.